Thats Mum and Dad first, not the eggs. 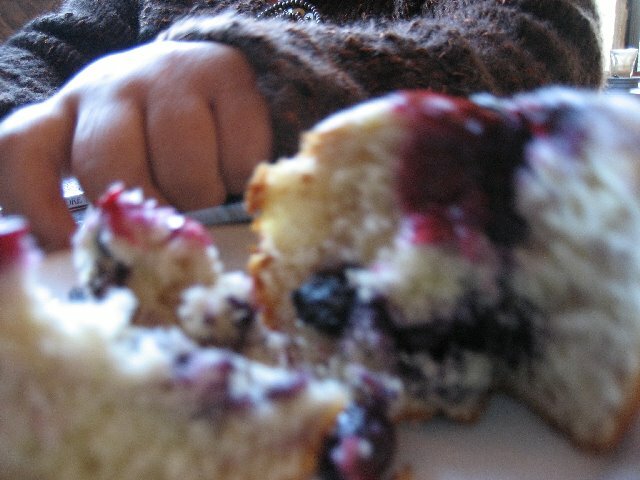 And this is what the berry muffin looked like, mum is never really impressed by much, she loved this. 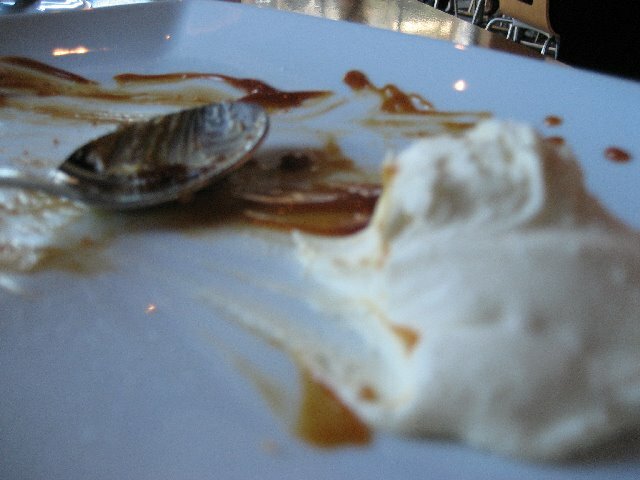 And this is what my father did to the banana cake with butterscotch sauce (his idea of breakfast, mind you). Dad's done alot of research on cakes, and he loved this one. He even managed not to get any of it on his shirt afterwards. Ive done some good things in my time..
A few more yum cha pictures..
Forbes and Burton, aka Meet Tatsu. i figured it out (on my own too).